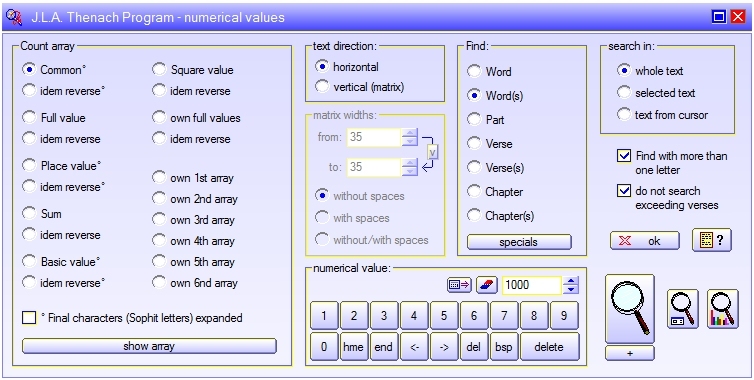 With the button [specials] you open seven additional search functions for numerical values. The J.L.A. Tanach program has many functions, which can also be useful for Bible researchers without knowledge of the Hebrew language. So e.g. 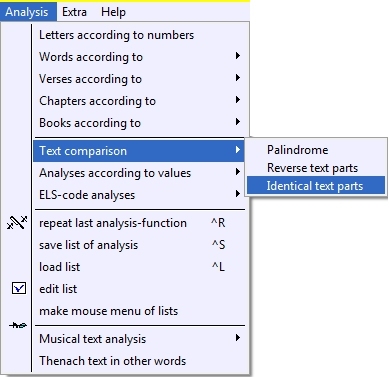 you can make multifarious lists, which give further insight in the Bible, such es lists with all words, verses, chapters, books of the Bible sorted according to their number of letters, words, verses, chapters or numerical values. All lists can be saved and loaded again. 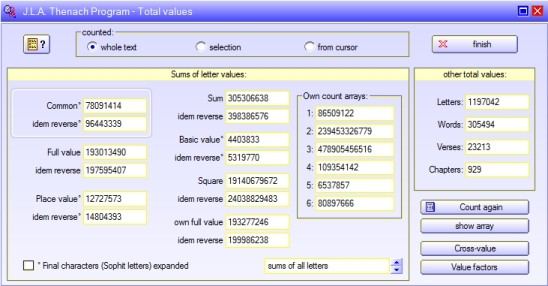 The function "Sums" calculates the number of letters, words, verses, chapters and the total numerical value of arbitrarily selected parts of the Bible. The sums change with on changing the selection (here you see the total values of the whole Tanach - Biblia Hebraica Stuttgartensia version). Search results. With the [up]-button you can see every single search result in full text environment (using the whole window). 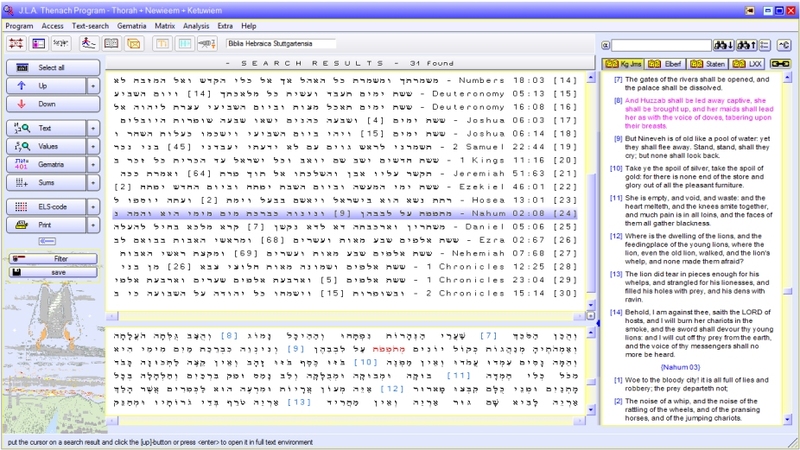 A translation (King James) is running with (the verse under the cursor is highlighted in red) and, conversely, the Hebrew text runs with if you click in the English text.